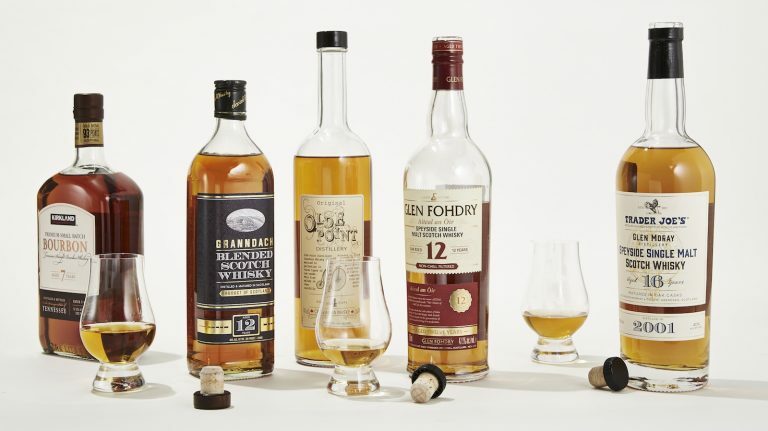 To some whisky connoisseurs, “blended” is seen as a dirty word, and that’s not without reason. A blend typically combines robust malt or flavoring whisky with lighter grain whisky. 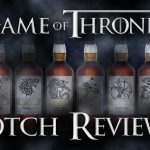 Historically, many blended whiskies included a large proportion of youthful, high-proof spirits, but some were comprised of a majority of neutral grain spirit and a lot of caramel coloring. 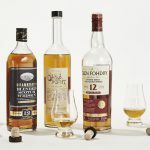 In fact, according to the Alcohol and Tobacco Tax and Trade Bureau (TTB), which lays down the rules for alcohol in the U.S., “blended whisky” can contain as little as 20% straight whisky, with the rest being neutral grain spirits. But just because it’s allowed to be that way doesn’t mean that has to. In fact, many whisky-making nations, like Scotland, Ireland, Canada, and Japan, have long and proud legacies of making excellent blends. 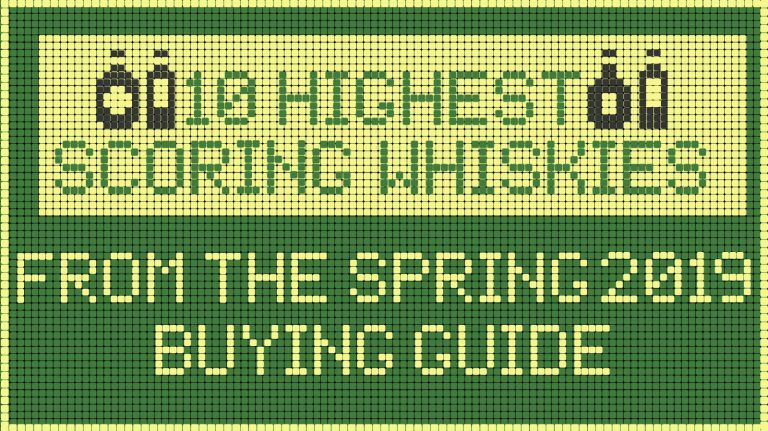 These whiskies show off the blender’s skill in the art of creating balance and layered complexity. They work splendidly in cocktails, and many can be sipped neat or on ice. Best of all: many high-quality blends remain fairly inexpensive. While blended Canadian whisky sometimes lacks respect among whisky connoisseurs, this spicy offering from Hiram Walker & Sons Distillery should easily change minds. Comprised of 60% column-distilled rye whisky blended with column- and pot-distilled wheat and corn whisky, each of the whiskies is then aged in different barrels—ex-Canadian whisky, first-fill ex-bourbon, and virgin oak. Strong aromas of rye bread and baking spices appear on the nose, with just a hint of floral notes. The palate is creamy and oily, with notes of vanilla, caramel, coconut, and buttered corn. A long finish introduces a pleasing zip of cayenne pepper. Great in cocktails. 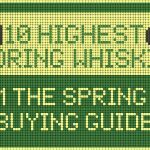 Compass Box, one of the premier blenders of scotch, often hits high price points, but this bottle is more affordable and approachable. 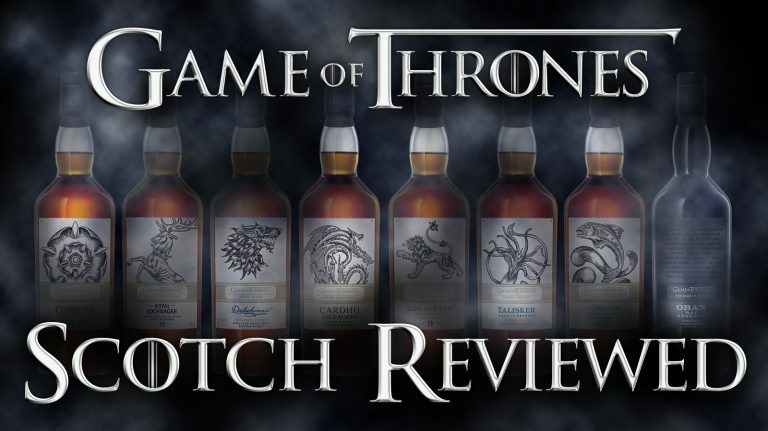 The blend includes Cameronbridge grain whiskey aged in first-fill ex-bourbon barrels, Linkwood single malt aged in sherry butts, Clynelish single malt aged in first-fill ex-bourbon barrels, and unnamed Highland single malt aged in custom-toasted new French oak casks. The result is bold and spicy on the nose, leading into apple pie with a dollop of vanilla ice cream, and just a hint of dried dark fruits—making for a terrific neat pour. If many single malt drinkers these days ignore Johnnie Walker, the biggest name in blended scotch, they probably shouldn’t. While the pricy Blue Label gets all the attention, this formerly duty free-only offering remains the brand’s best kept secret. This is Black Label with its malt and grain profile intensified through the addition of more Islay whiskies, as well as whiskies from more deeply charred sherry casks. Quite smoky on the nose, the palate is sweeter, with notes of honey, s’mores, sticky buns, and just a hint of peat on the long finish. Great on ice or in highballs. Brown-Forman—makers of Jack Daniel’s and Woodford Reserve—released this whiskey in 2017 after purchasing Slane Castle Irish Whiskey Limited. Well-aged, sourced whiskeys are finished in virgin oak and ex-American whiskey barrels from Brown-Forman’s own cooperages, as well as in oloroso sherry casks. The blend offers marzipan and maple brown sugar oatmeal on the nose with just a hint of apples and pears. The palate is richer than you’d expect from the 40% ABV, with dry notes of baking spices, white pepper, clover honey, and just a hint of dark chocolate. Complex enough to sip neat. An almost-American take on Irish whiskey, the old timey label recalls the Morrissey-Sullivan bout of 1853, in which (spoiler alert!) reigning bare-knuckle champ Yankee Sullivan lost to the Irish-American fighter John Morrissey. The blended Irish whiskey that controversial match inspired is finished for six months in American rye barrels from Tamworth Distilling, a fairly offbeat craft distillery in New Hampshire. The rye notes of cinnamon and spice are most strong on the nose, as the palate is lighter, with hints of vanilla and a creamy maltiness. The long finish makes for a great sipper at a good price. Although their whisky industry is less than a century old, the Japanese have proven themselves to be masters of the art of blending, prizing balance and nuance. 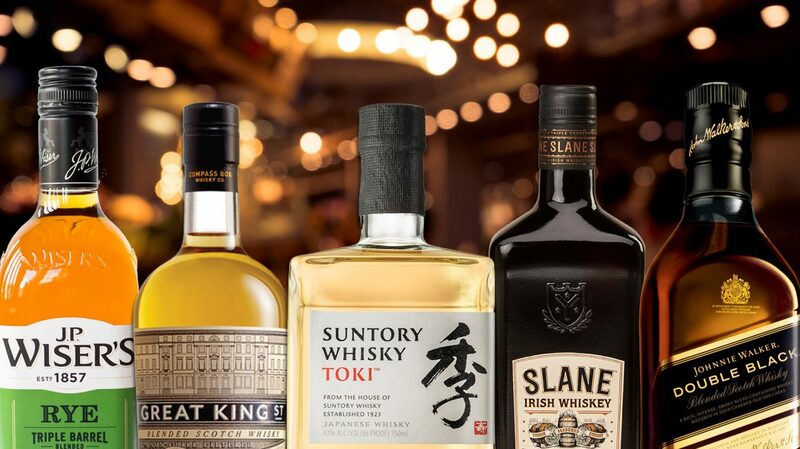 A melange of whiskies from all three of Suntory’s distilleries, Toki includes unpeated single malt from Yamazaki, peated single malt from Hakushu, and grain whisky from Chita. A light, delicate dram with the aroma of browned apples, the palate has just-extinguished campfire smoke with hints of pink peppercorn and tropical fruits. A versatile, drinkable pour that is intentionally designed for Japan’s favorite cocktail, the Highball.